The dating speculations can be laid to rest….according to Bobbi K and Nick Gordon, it’s official! Did you watch Oprah’s interview with the Houstons??? What’d you think……..
WHY WOULD BOBBI KRISTINA WANT TO CHANGE HER NAME & SEPARATE HERSELF FROM DADDY BOBBY BROWN? Nothing is like a daddy daughter bond. So why would Bobbi Kristina Brown want to disassociate herself from her father Bobby Brown??? 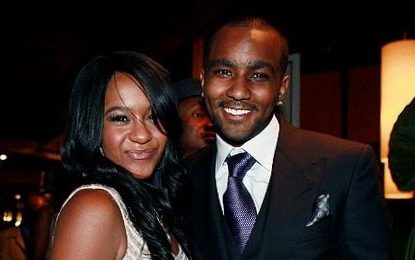 WHITNEY WILLS EVERYTHING TO BOBBI KRISTINA ! Inside Edition reports according to the Washington Post that Whitney Houston’s last will and testament give everything to Bobbi Kristina. Check out a quick snippet of Oprah’s highly anticipated interview with Bobbi Kristina and the Houston Family…..
Leola Brown opens up about Whitney’s death and the safety of Bobbi Kristina…..
Oprah continues to prove that she is indeed the “Queen of The Couch” and is set to air the most anticipated interviews of 2012….